to run and grow your business. 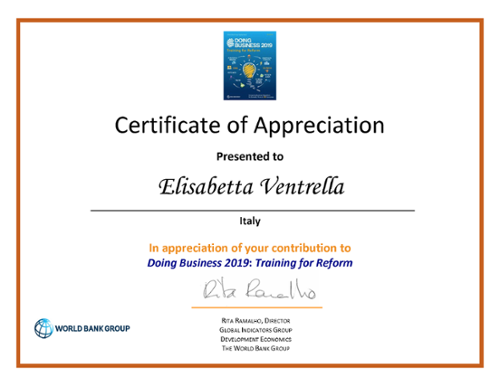 Also this year BdaLaw has contributed to 'Doing Business 2019: Training for Reform' the annual Report of the World Bank. Giuseppe Broccoli and Elisabetta Ventrella have dealt with Italian regulations on starting a business, dealing with construction permits and registering property. The Contractor signed with the Supplier a contract for the supplu of certain major components in respect of the revamping of a power station in Middle East. The contract provided the issue of a Performance Bond to secure the proper and timely performance of the Supplier's obligations. 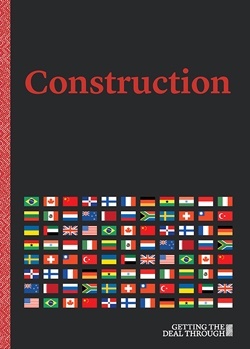 BdaLaw is honored to have contributed to the 12th edition of Construction, a volume in the Getting the Deal Through series of annual reports which provides international analysis in key areas of law and policy for corporate counsel, crossborder legal practitioners and business people.